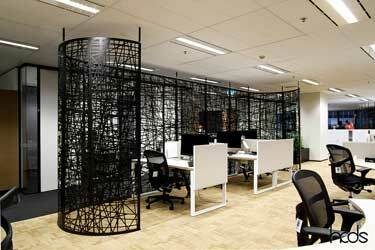 We’ve installed HCDS screens into Kingsmede Office in Wynyard. 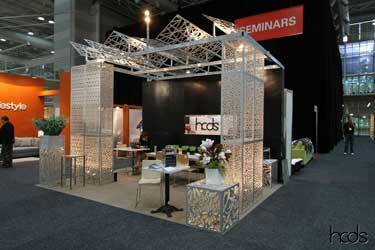 The custom lasercut aluminium screens are sandwiched between two sheets of glass held together by a sturdy frame. 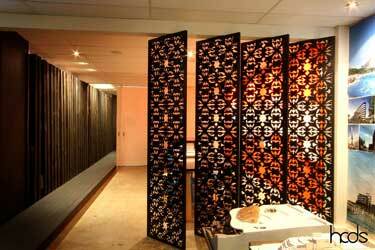 Up close, the lasercut patterns are very intricate, whilst the overall patterns are consistent and simple. 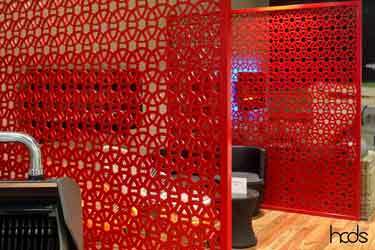 These screens are appropriate for a modern office environment. 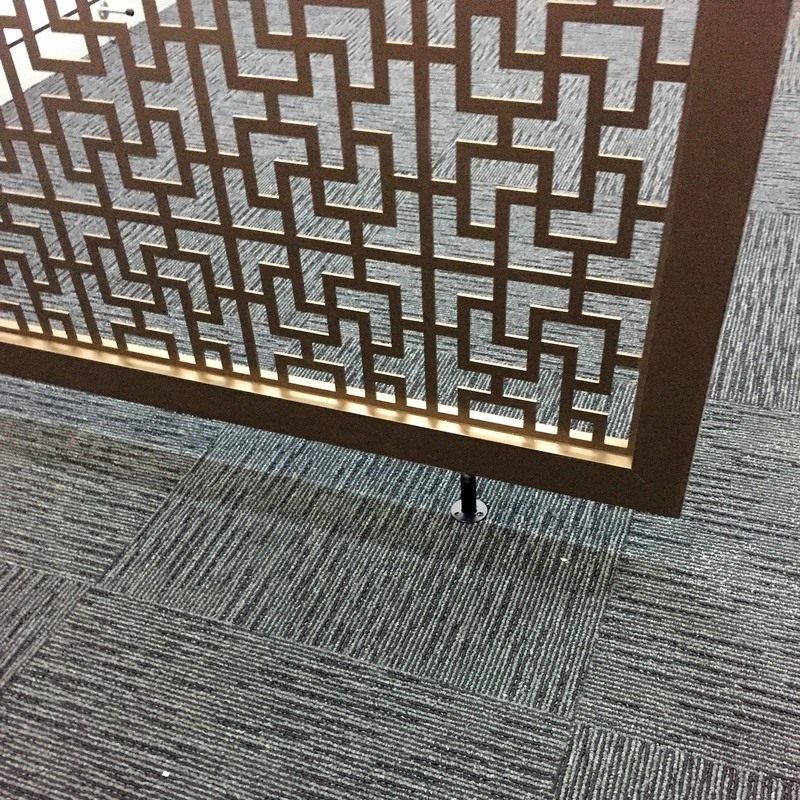 This unique designed screen is abounding with contemporary and timeless design. 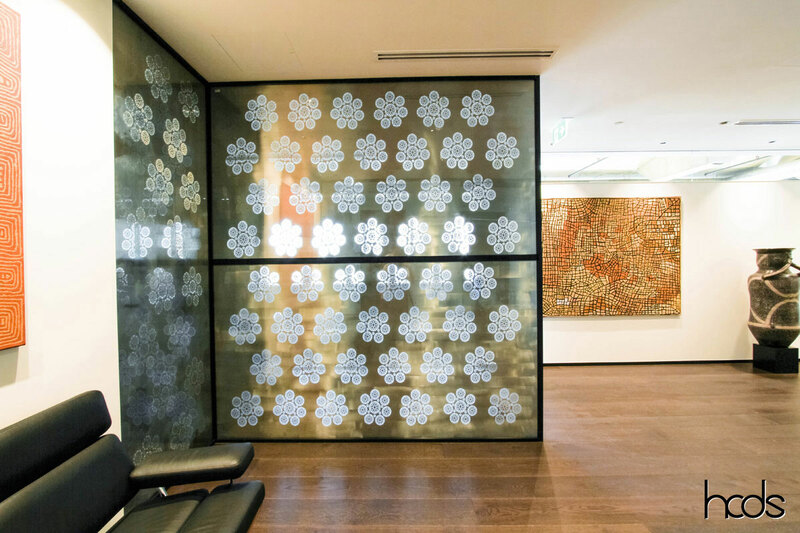 HCDS worked with sculptor Roger Assi to manufacture a custom made screen for one of Sydney’s top high end property investment companies. 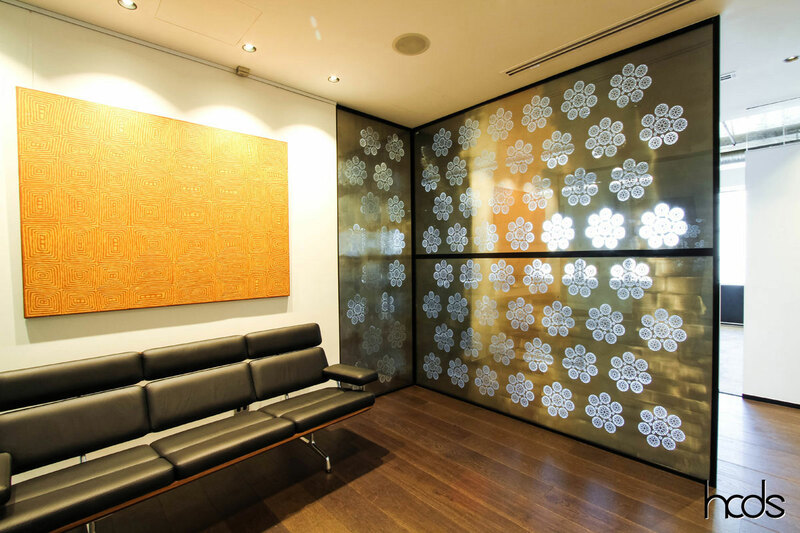 The subtle design incorporates the company initials and was placed in a shape inspired by Aboriginal patterns. 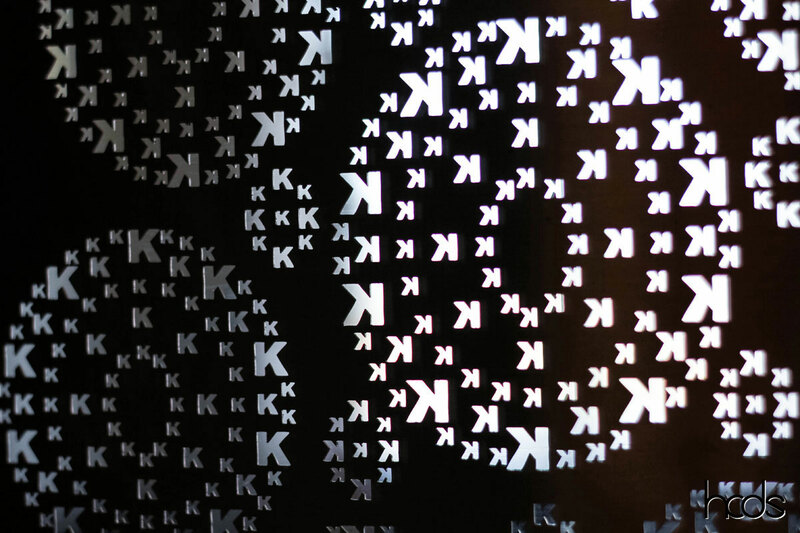 The limits of the laser cutter were tested to develop the smallest laser cut k letter. 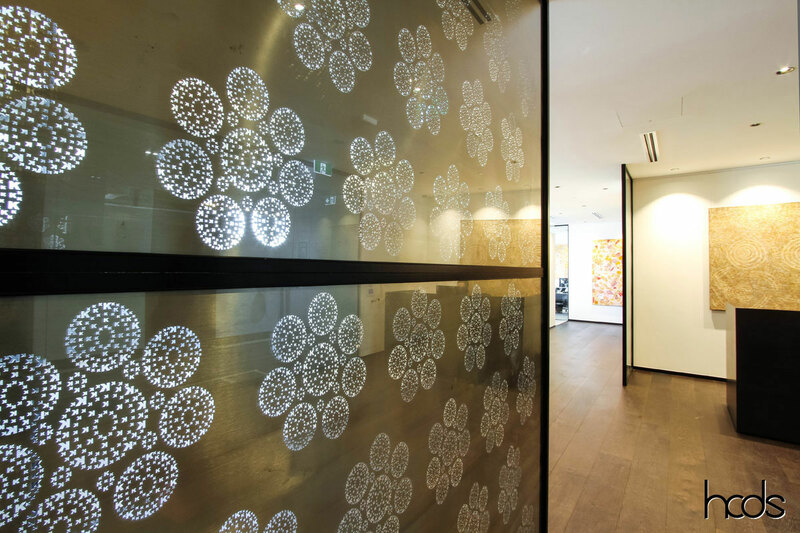 The screen was placed in a double glazed toughened glass and vacuum sealed for easy maintenance and astounding light penetration and reflections. 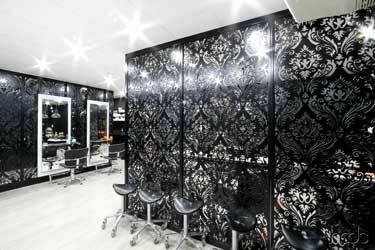 The results exceeded the clients’ expectations and the finished result is a beautifully eternal art piece.